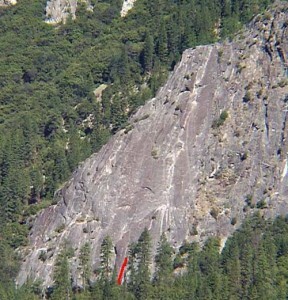 Just the first pitch is popular and is most often toproped with one 60m rope by climbing the first 80 feet of C.S. Concerto or scrambling up 3rd class. The fun face and friction climbing to the thin crack is great for practicing footwork. The second pitch is dirty and the upper pitches are runout and seldom climbed. Which SuperTopo guidebooks include a topo for Fecophilia?